In 1997, Marco Minghetti founded the Hamlet, magazine of AIDP (Italian Association for Personnel Management) that overturn the traditional standard of managerial literature, starting concretely the dialog between businesspeople and experts of all different humanistic and scientific subjects. During its seven-year life, many famous authors would take part, systematically or occasionally, to the initiative. Among “founding fathers” of Hamlet we mention Giampaolo Azzoni, Enrico Bertolino, Francesco Bogliari, Franco D’Egidio, Walter Passerini, Piero Trupia, Luca Varvelli, with many of whom Minghetti had set up important training and communication initiatives in Agip. Other important stable co-operators would join soon, such as Paolo Costa, Corrado Ocone and Pierfranco Pellizzetti. 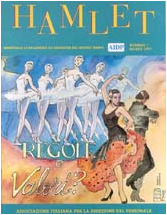 In the chapter entitled A beautiful network, of his book Cento Talleri di verità Piero Trupia has described the experience of Hamlet as follows: “If the social disease of our time is the difficulty to create and maintain stable, productive, convivial relationship, Marco Minghetti is the doctor without borders that cures it. I have known him in the middle of the nineties through a third person, with whom I have then lost contact. Marco was grouping a community of experts and connoisseurs of human resource management and business organization fields. Thanks to his innate charisma, he was able to find a sufficient number of people, about twelve, and grouped them together in community that was actual and virtual at the same time. The life of the community was on the Internet, without excluding some personal contact, especially through the community animator, Marco himself. The project was to create a two-monthly magazine having as titleHamlet- Bimestrale di riflessione sui paradossi del nostro tempo (Hamlet- Bimonthly magazine to reflect on the paradoxes of our time) published by AIDP (Italian Association for Personal Management), and having as action field the problems of post-industrial era. 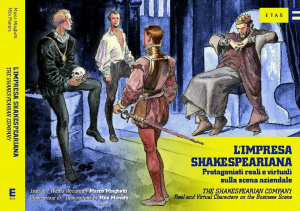 In 2002, Etas publishes the book by Minghetti “L’impresa shakespeariana romanzo manageriale a colori” (The Shakespearian Company – managerial novel in colour), illustrated by Milo Manara (author of the original covers of Hamlet), that sums up the accomplished experience. With parallel English translation, this work has been selected as institutional text of the EAPM (European Association for Personnel Management) convention held in June 2003 and is spread in 25 Countries.